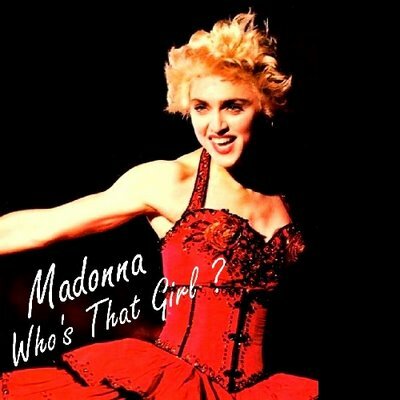 The Who’s that girl Tour is Madonna’s second concert tour and her first World Tour. 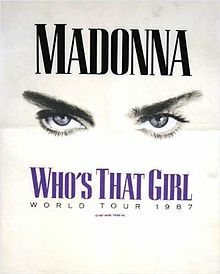 Visiting 28 cities in three continents, the tour promoted her third studio album “True blue”, as well as the soundtrack to her new film “Who’s that girl”. 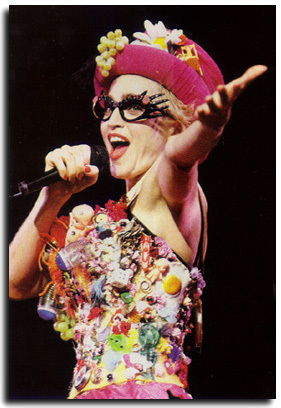 The tour was a major sucess, and technically it was far superior than her previous tour, incorporating more musicians on stage, more dancers and plenty of state-of-the-art multimedia screens, which helped bring the show a more theatrical feeling.